Recently, some levy volunteers have heard “rumblings” from residents that there is a concern that passage of the February 2nd operating levy would simply mean immediate salary raises for all District employees. This is obviously concerning to residents who have suffered employment loss or salary reductions due to the downturn in the economy. To counter this concern, members of the Olmsted Falls Education Association (certified staff) and the Ohio Association of Public School Employees (classified staff) have each voted to extend their current labor contracts for an additional six months. The current one-year contracts for both associations were originally set to expire on June 30, 2010. These contract extensions continue the base salary freezes and significant insurance concessions, previously negotiated between the Olmsted Falls Board of Education and both associations last spring, through December 31, 2010. As superintendent, I would like to thank our two labor associations for reacting quickly to these community concerns and extending the current contract conditions. The District hopes that residents will cast a vote with the confidence of knowing that new local revenue will be utilized to return the programs and services that have unfortunately been cut due to the failure of the past three operating levies. Olmsted Falls, OH— January 26, 2010 – Members of the Olmsted Falls Education Association (certified staff) and the Ohio Association of Public School Employees (classified staff) have voted to extend their current contracts with the Olmsted Falls School District for an additional six months. The current one-year contracts for both associations were originally set to expire at the end of this current school year, on June 30, 2010. The new contract extensions continue the base salary freezes and significant insurance concessions, previously negotiated between the Olmsted Falls Board of Education and both associations last spring, through December 31, 2010. 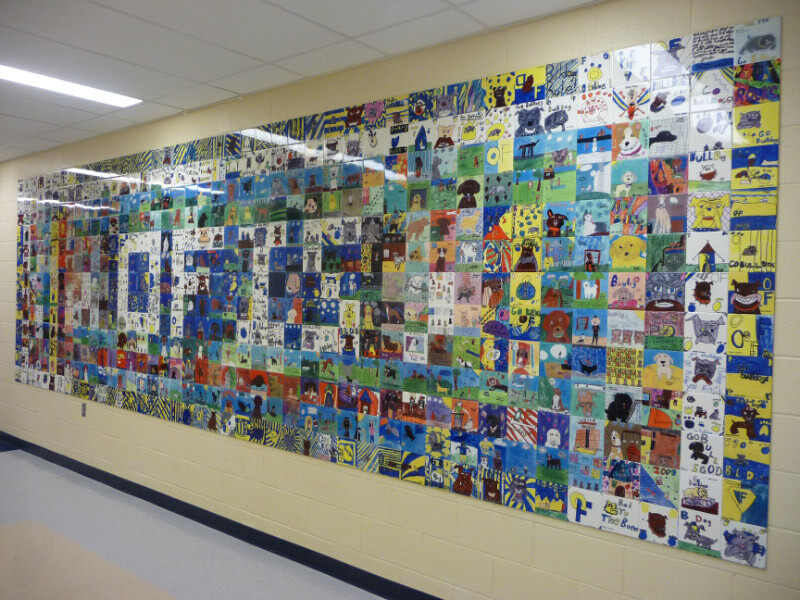 Olmsted Falls City School District began implementation of an Educational Reduction Plan in March 2009, following the failure of two operating levies (in November 2008 and February 2009). Since then, a third operating levy failure in November 2009 has forced cuts to continue including a reduction to State minimum busing. An 8.7 mill operating levy on the February 2, 2010 ballot would help restore some lost programs and services. Failure of a fourth operating levy will mean additional cuts, including the loss of extracurricular and athletic programs. Deeper cuts to staff, which ultimately has the most negative impact on the quality of daily educational programs, are also at risk without an infusion of new operating dollars. The Olmsted Falls Board of Education will officially vote to accept the contract extensions from both associations at their regularly scheduled monthly meeting on February 18, 2010. The Pride in Olmsted Schools’ Levy committee has released new levy video. Click here. This Saturday, OFHS students will be conducting an awareness campaign between 11 AM and 2 PM. During this time, students will be gathering at the corner of several key intersections throughout the Olmsted Communities. The goal of these students is to raise awareness of the activities that would be lost should operating levies continue to fail. Letters to the Editor regarding the upcoming levy. Please click here to read letter #1. Please click here to read letter #2. Please click here to read letter #3. Please click here to read Letter #4 written by OF council woman Ann Marie Donegan. Please click here to read letter #5 written by OF Mayor Robert Bloomquist. February 2nd is Election Day and an important day for both our school district and our community. In order to celebrate the importance of this day, it has been designated as Bulldog Pride Day. We are asking all students, faculty, and staff to show off their Bulldog Pride by wearing school colors. Congratulations to sophomore Hayleigh Sanders who has been named a finalist in the Stop the Hate: Youth Speak Out essay contest sponsored by the Maltz Museum of Jewish Heritage in Beachwood. Hayleigh will be honored at an awards ceremony on March 21st at the museum. Congratulations to Natalie Brdar and Pam Keller as they led the OFHS Forensic Team (Speech and Debate) to another top ten finish this past Saturday. Pam is the first sophomore to be crowned Tournament Champ twice. 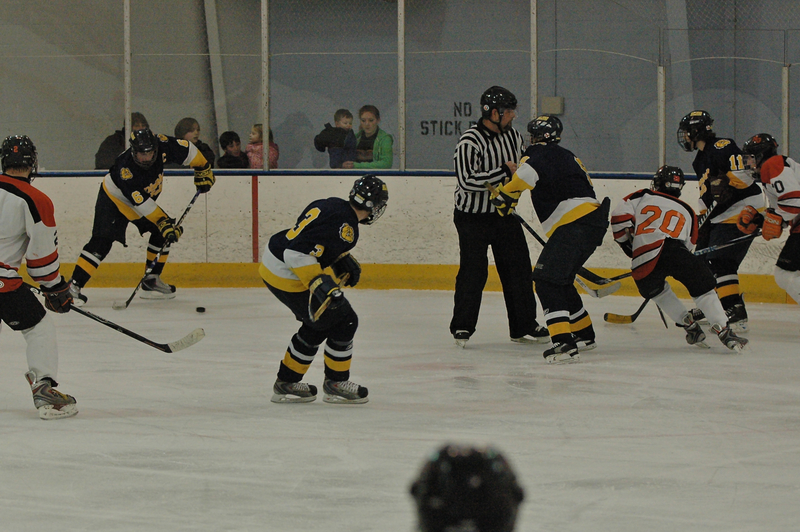 Many residents may not be aware that OFHS has a hockey team. The team plays its home games at the Brooklyn Rec Center. For a link to the Bulldog Hockey website, please click here. On Thursday, January 14th, the Olmsted Falls Board of Education held its Organizational meeting for 2010. At this meeting, Mr. Frank Pedicini was elected President and Mr. Joseph Bertrand was elected Vice-President. Many citizens do not realize that the Board of Education donates their meeting checks back to the District and the money is utilized for scholarships for graduating seniors. This is a long-standing practice of the Olmsted Falls Board of Education. Last Thursday, the Ohio Department of Education announced that Ohio has once again improved its ranking in the annual Education Week Quality Counts report. According to the 2010 report, Ohio’s educational system is now fifth in the nation, up from sixth last year and seventh in 2008. The focus of this year’s report, Quality Counts 2010: Fresh Course, Swift Current – Momentum and Challenges In the New Surge Toward Common Standards, examines the effort by states to develop common curriculum standards. Across the United States, the common curriculum standards for Mathematics and English language arts are under development in a process that is facilitated by the Council of Chief State School Officers, the National Governors Association and the National Association of State Boards of Education. Currently, 51 states and territories are participating in the process. For more information on rating the quality of Ohio’s public schools, please click here. Being an active member in PTA is a great way to take an active role in your child’s education. As a note, the OFHS PTA will be meeting next Monday at 7 PM in the HS library and the Falls-Lenox PTA will be meeting next week on Tuesday evening at 7 PM. Congratulations to OFHS Food Service Supervisor, Denise Tabar for applying and receiving three mini-grants of $2,000 each. These grants, developed and funded by the Ohio Department of Education, will support parent education programs on the topic of childhood nutrition. Over the past year, the District has received several phone calls, emails, and letters asking for an explanation of the way Ohio’s public schools are funded. Recently, several OFHS students created a video supporting the upcoming levy vote. If you would like to view this video, please click here. The video “My Turn” was recently updated. To view this levy video, please click here. Last week, several persons contacted me requesting the link to the Pride in Olmsted Schools levy website which provides important information regarding the upcoming February 2nd vote. To view this site, please click here. 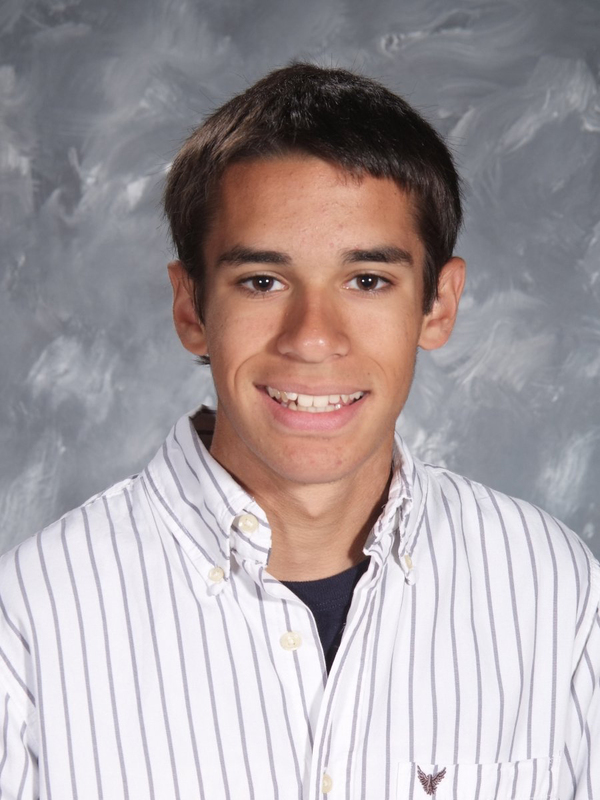 Sun Post Herald – Letter to the Editor – written by OFHS student Lawrence Yurick – please click here to read. Facebook: Pride in Olmsted Schools Facebook page: click here to view. The Sun Post Herald recently printed an article outlining the importance of this levy as well as an overview of the financial reductions that have been made up to this point. To view a copy of this article, please click here. Finally, click here to view the District’s Educational Reduction Plan. As many are aware, Middle School extracurricular activities will be eliminated if the operating levy is not successful in February. However, another major ripple is the effect that a levy failure in February would have on the 2010-2011 High School class offerings. Under normal circumstances, students would begin scheduling classes for the 2010-2011 school year in February. However, if the levy is not successful in February, additional teacher lay-offs will be necessary for the 2010-2011 school year. This will require eliminating additional High School course offerings which complicates the upcoming scheduling process. Congratulations to Olmsted Falls High School wrestler Chaz McGrain who won the Dies Memorial Tournament this past weekend! With his first place victory, Chaz became the 5th OFHS wrestler to win a Dies championship! Congratulations are also in order for fellow wrestlers Nick Asadorian who placed 6th and Mark Mills who placed 7th overall. The entire OFHS wrestling squad competed strongly, placing 14th out of 44 teams. The District would like to commend Head Wrestling Coach Bill McGrain, his dedicated coaching staff, and these talented athletes. On January 9, the OFHS Academic Team traveled to The Ohio State University for a winter tournament. The format of the tournament was HSAPQ which stands for High School Academic Pyramidal Questions (translation–really complicated, tough questions that are at least a paragraph long!). Our A team came away with a third place finish in a really tough field of teams. On January 10, OSU held tryouts for the All-Ohio All-Star Team to represent the State of Ohio in a national tournament at Vanderbilt University in June. Each state is allowed to send one all-star team. OSU took on the task of running the tryout tournament (which was open to all players in the state) in which players were judged on their depth of knowledge in particular subjects in order to field an all star team with a specialist in each of the big areas: History, Science, and Literature. The team will consist of 4 players and 2 alternates. Congratulations to Jim, and to all of the other members of the Olmsted Falls Academic Team. The District is really proud of our new Intermediate School and would once again like to thank our residents for supporting the 2 mill bond issue that provided the necessary funding for this fine facility. Over the course of this school year, several projects have been undertaken to make this new facility more of a “home” for our students. 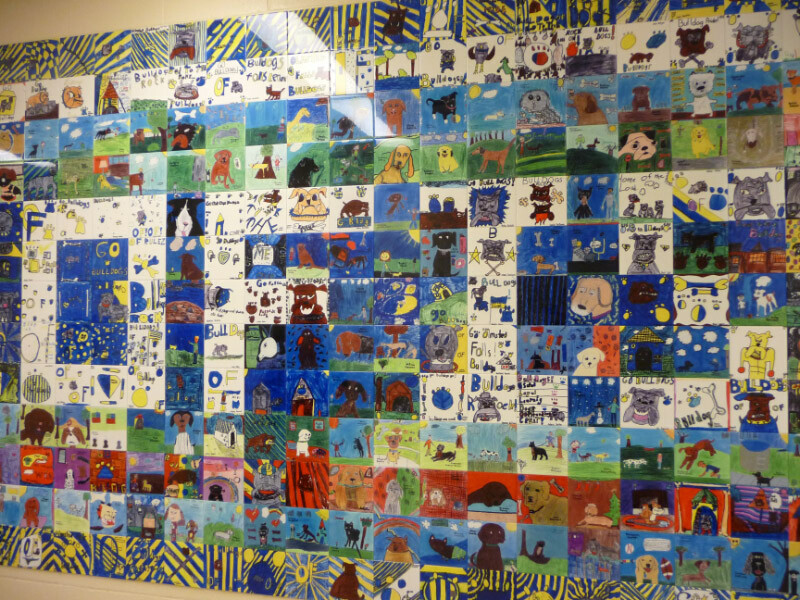 Recently, under the direction of Art Teacher Sue Magnone, students at the Intermediate School constructed a “Bulldog Tile Wall”. Below, please see pictures of this new addition at OFIS. If you look closely, you can see "O F I S" within this tile wall. If you are involved in the AM or PM process of dropping off or picking up students, you have witnessed the improvements over the past week. Thank you to those who have made suggestions for improvement. While it is still time consuming, improvements have been made, and in reality, things are probably as good as they are going to get. Last Thursday, upon the invitation of District officials, law enforcement officers from 13 local cities conducted a drug search of OFHS. Drug sniffing dogs were utilized to search lockers, locker rooms, and the parking lots. While no drugs were found inside the school, marijuana was found in one student’s car. As many parents will remember, drug searches were conducted last school year at both the High School and the Middle School. The District will continue its efforts to work with the local law enforcement agencies in an effort to ensure that our school buildings remain drug free zones for our students. A few days ago, an Olmsted resident emailed me with a YouTube link that really shows how much our world is changing. To view this video, please click here. After viewing this video, you will see why it is so absolutely necessary that our children receive a quality education that allows them to be competitive in this 21st Century Global economy. Congratulations are in order for the Bulldog Football team and two of its members. The football team has been recognized by the Ohio Football Coaches Association as Academic All-Ohio. A total of only 22 teams throughout the state received this recognition. In addition, Ryan Petitti and Cameron Trefny have been named to the Academic All-Ohio Football Team. A total of 111 student/athletes received this recognition out of over 35,000 players in the state of Ohio. The District would like to congratulate our Head Football Coach, Mr. Jim Ryan, his coaching staff and players for this outstanding accomplishment. Hopefully you are aware that the per pupil spending of OFCS is the 4th lowest of the 31 school districts in Cuyahoga County. OFCS is able to accomplish this feat, while at the same time achieving top academic ratings because of its continual search for alternative sources of funding. This school year, through various partnerships with Polaris JVS, OFCS has been able to receive $163, 097.25. 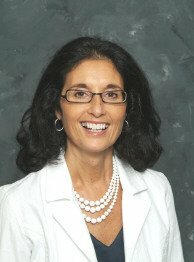 Specifically, OFCS is receiving $19,647.50 to cover the expenses of our afterschool elementary Chinese program; $139,005.22 for the new Bio-medical Science class which is offered to OFHS students; $2,881.90 for the online Study Island computer program; and $1,562.63 to help cover the expenses of printing the OFHS course selection guide. As stewards of the District’s finances, OFCS will continue to search for alternative sources of funding. Congratulations to these students for being true student athletes. Did you know that during the month of December that OFHS students donated 1,326 food items to the Olmsted Community Food Bank. We are very proud of this noble effort by our HS students. I would like to thank the 52 persons who came to the Pride in Olmsted Schools Levy meeting last Thursday evening. Despite the winter conditions, these dedicated persons continued their efforts to ensure that all community members are made aware of the importance of the February 2nd levy vote. For more information about the upcoming levy vote, please visit the Pride in Olmsted Schools levy website by clicking here. On February 2nd, at 7 PM in the OFHS auditorium, an informational meeting will be held for any student interested in participating in the PSEO program, next school year. If you have any questions about PSEO, or this meeting, please contact the school counselors at the High School. Over the past several months, several residents have asked District officials questions pertaining to when or if OFCS will begin offering all-day, every-day kindergarten classes. As many know, new laws in the state of Ohio require school districts to offer all-day, every-day kindergarten next school year, unless the District requests a waiver from this requirement. HB366 SCHOOL DISTRICT RULES (Gardner R) To allow school district boards to exempt their districts from certain spending rules and the requirement to provide all-day kindergarten and to direct duties of the Ohio School Funding Advisory Council. Rep. Gardner began his comments on a mildly defensive note, saying apparent criticism that he himself had introduced unfunded mandates on school districts in the past were not well taken, to the extent all unfunded mandates are not created equal. He said academic requirements on districts under Core curriculum bill 126-SB311 (Gardner) are proper to the role of state government, while direct funding mandates under HB1 (Sykes) are not.”I would suggest – and I hope this will not be quoted out of context – there is evidence that that the evidence-based model (EBM) can generate positive results. There is also evidence that it will cost more than most school districts can sustain,” Gardner said, suggesting fully incorporating EBM would require districts to sacrifice local priorities. He flipped the mantra of unfunded mandates on its head.”I believe there are a billion dollars of un-mandated funds” at the local level, Gardner said.He called it “almost impossible” for districts to plan for implementing – or not implementing – EBM in the near future while facing a $497 million school budget hole at the state level, saying the out-clauses of HB1 provided little comfort. During questions, Rep. Phillips suggested HB366 was seeking to make an end run around the rulemaking authority of State Superintendent Deborah Delisle and the State Board of Education under EBM. Gardner responded by deferring to the local control of the past. “I’m one of these people who believe a lot of good decisions have been made by local schools,” he said, pointing to Ohio’s rise to sixth out of all states under one national ranking of academic progress. Gardner indicated at several points that he did not oppose HB1 and EBM outright, though there was little evidence of that in his comments. He said the state, and the Legislature, might have as easily turned to different “evidence” provided by the Gates Foundation, the National Center on Education and the Economy, and the Kinsey report. After two days of the new transportation system, progress is being made. While long lines of traffic will not subside anytime soon, it seems students and parents are learning how to navigate through this new pick-up and drop-off system. However, just like the beginning of the school year, it will take a week or two before the new bus routes “iron out” and become more consistent on the daily pick-up and drop-off times. On Monday, Falls-Lenox students had their first experience transferring buses at the new Middle School hub. (Please see November 24th Blog post for more information on the Middle School hub concept). While this new experience was confusing for many of our young students, we are hopeful that they will quickly adjust. Our Kindergarten students have been transferring buses all school year and from past experience, it takes a while before they become confident and comfortable with this routine. There have been six to eight adults supervising the transfer of students at the hub and helping children find their correct bus assignment. Let me begin by thanking parents for your patience. While there are few things in life more frustrating than waiting in a long line, this is our new reality in the Olmsted communities. Unfortunately, with Bagley Road as the only entry/exit for Falls-Lenox, OFIS, and the Middle School, and Fitch Road the only entrance/exit for the Early Childhood Center, there are simply no other options. Please note that “Right Turn Only” signs have been installed at Falls-Lenox to help expedite the exiting of vehicles. We ask everyone to please be considerate of all and follow these new traffic patterns. First, let me encourage parents of Middle School students who are picking up their children to please consider forming more car pools. The vast majority of vehicles are only picking up one student. More car pools will mean fewer total cars, which will shorten the time period of the overall pick up process. Also, a reminder to parents that the Middle School offers a daily homework lab. Students can attend the homework lab and then be picked up at 4:30 PM. For more information on the homework lab, please click here. Since the defeat of the November 2009 operating levy, nearly 150 volunteers have been working hard to promote the February 2010 levy campaign. Today, a new website was released that provides residents the information they need to cast an informed vote on February 2nd. Click here to view the new Pride Website. Additionally, the Pride in Olmsted Schools will be conducting a campaign meeting tomorrow evening at 7:30 PM in the cafeteria at OFHS. Please consider attending and helping out with the upcoming campaign. I am proud to announce that on December 29th, the Ohio Department of Education (ODE) recognized Olmsted Falls City Schools, as well as 18 other school systems around the state of Ohio, with the 2009 Stellar Award for Best Nutrition Practices. – Nutritional education aimed at students, staff, parents and the community through marketing programs and activities; for example, using alternatives to candy when rewarding children for good behavior or academic performance. Congratulations to OFCS Food Services Director, Mrs. Denise Tabar and her staff for receiving this well deserved recognition. Did You Know That State Law Requires OFCS To Provide Educational Services to Students with Disabilities At the Age of Three? Did you know that the state of Ohio requires public schools to begin providing educational services to children with disabilities upon their third birthday? The OFCS Preschool Program, housed at the Early Childhood Center, is a program designed especially for children with various developmental delays and special needs. Our program provides specialized service for children ages 3 to 5 in the following areas: academics, behavior, socialization, sensory development, gross and fine motor development, and language development. “Typical Peers” are integrated into each class as a role model for language and age-appropriate behaviors. Class size is small and, by law, cannot exceed 12 students. All OFCS Preschool teachers are certified in Early Childhood Education and Preschool Special Education, and each class has a para-professional(teacher’s aide) that assists the students and the teacher. If you are interested in having your child considered for a position as a “typical peer,” our enrollment process for the 2010-2011 school year is getting under way. We have two dates scheduled, January 22nd and January 29th, both with times from 9-11 am and 1-3 pm. Please contact ECC Principal, Gina Sanfilippo, at 440-427-6360 if you would like to set up an assessment time. While the Olmsted Falls Schools receive the majority of its revenue from local taxes, the District does receive approximately 40% of its funding from Ohio’s school funding formula. As written in the December 14 blog post, this funding was in jeopardy. This issue has now been settled as a legislative compromise was reached just before Christmas. For details of this new legislation, please click here. 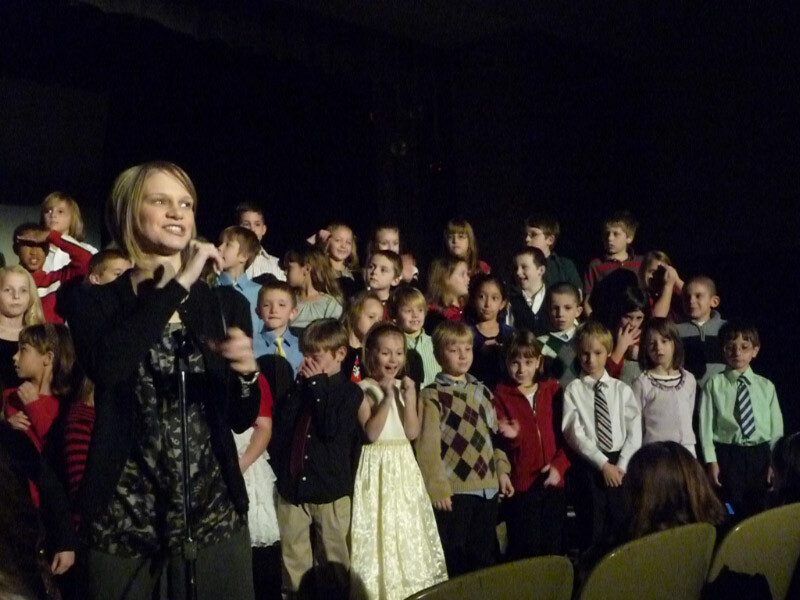 Time is growing near for the annual PTA Talent Show. Auditions are set for Saturday, January 23rd from 9 AM – Noon. For more information, you may contact Mrs. Gae Riemer at 235-0629. The Cuyahoga County Board of Elections released precinct results from the November 2009 operating levy. For a copy of these results, please click here. 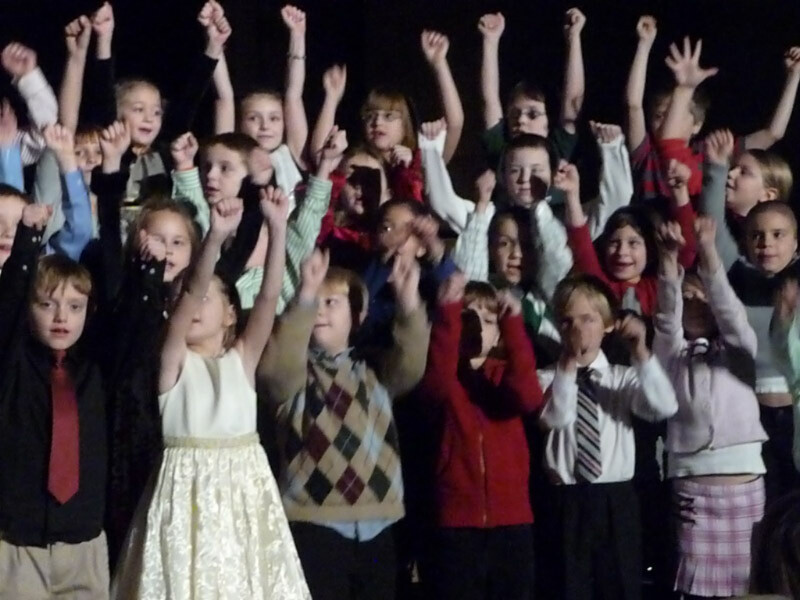 Over Holiday Break, a new edition of the OFCS School Report was created. This document has been printed and should arrive in homes in the near future. For a sneak preview of this document, please click here. Please note that the OFHS Guidance Department is sponsoring an important informational meeting for college bound seniors and their parents. This meeting will be held in the OFHS auditorium at 7 PM on Monday, January 11th.